My family are big animal lovers, our local SPCA phoned me on a Thursday morning as last hope for my Jack who would have been euthanised the next day. I explained that I was boarding a plane to Cape Town but please stop all processes as I will make a plan when I come back the next week. I quickly smsed my dad that a Labrador – he can’t resist them – urgently needed a home. My dad rushed to fetch our ‘labrador’ as a surprise for when we returned home. Beautiful surprise when I got home. My Jacky boy is terrified of the bad weather he drools, shakes, and panics terribly. I used to use drug store calming pulls until I saw an advert on Facebook by Regal Pet Health. After I saw this advert I went to Dischem and bought a small bottle with lot of hope – as my other doggie Neemo uses the Skin Care Remedy for hot spots. 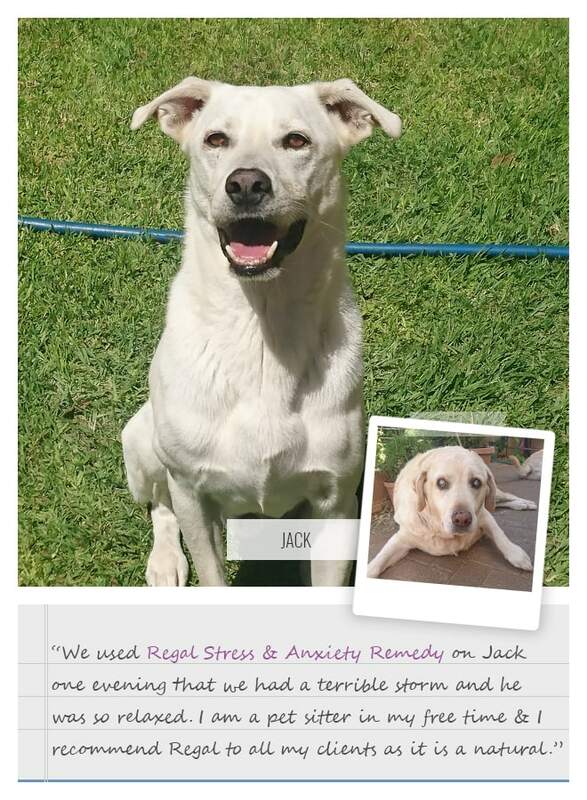 We used 7.5ml [of the Stress and Anxiety Remedy] on Jack one evening that we had a terrible storm and Jack was so relaxed. The smell & flavour of the syrup help as it is a quick squirt in his mouth with a syringe instead of trying to make him swallow calming meds. 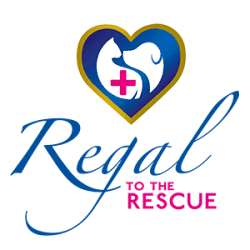 I am a pet sitter in my free time & I recommend Regal to all my clients as it is a natural & animal (not human medication) way to relax your pets when it rains, there are fireworks or when you are away.